Share one goal you want to achieve this month. Free write for 7 minutes – and publish without editing. What is your favorite source of news? How do you like your pizza (and do you call it a pizza pie)? When was the last time you received a handwritten letter? Happy Labor Day! Tell us the most important thing you learned during your first job. International Literacy Day – celebrate by sharing some of your favorite books, or letting us know what you plan to read this fall. Tell us what family game night looks like in your world. What is on your music playlist right now? Do you make your bed when you get up in the morning or leave it since you will just mess it up again that night? Have you ever had jury duty? Did you have a special pet when you were a child? If you were going to be stuck in an elevator for two hours, who would you want with you? What does it mean to be a good neighbor? What fear have you conquered? It is Talk Like A Pirate Day! Give us a pirate tale. Do you have a funny camping story? Or maybe some great tips to make camping fun? How have your friendships with other women inspired you, or helped you to become a better you? What is your favorite thing about your yard? It’s the first day of fall. Do you feel a chill in the air? Tell us what you are most looking forward to about fall. Are you the same person you were last year? Five years ago? Ten years ago? Tell us how you have (or haven’t) changed. Share your favorite breakfast recipe. Do you still live in the town where you were born? Why or why not? Which one of the seven dwarfs do you most identify with? Tell us about your writing process – do you like music or quiet, is there a special place you go to work, do you type from the beginning or write notes with a pen and paper first? Did you catch lightning bugs when you were a child? Aku biasanya dicatetin di notebook tapi kendalanya kalo udh ilang idenya udh males nulisnya lagi mak. 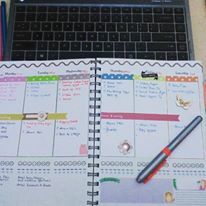 Biasanya idenya dateng pas mau tidur, tengah malem suka udh males n ngantuk buka laptop kendalanya, hiks..
Great ideas nih makk untuk one day one post. Tapi kayaknya ini cocok untuk blog random ya makk,, niche beaity seperti saya ini masa posting berjudul seperti ini hehehe..
One day one post ini ide yang bagus makk.. Aku pengen nyoba, tapi ini lebih cocok untuk blog random ya makk? Niche ku beauty sih, biasa posting cuma 2x dalam semingguu hehehe..
Makasih ya, mak Injul sharingnya. Belum bisa one day one post sih tapi beberapa ide di atas sepertinya menarik untuk dieksekusi. aduuhhhh mak Indaaaah…dirimu tuuuh , sulit untuk disaingi maaaaak…saya mah apa atuh, masih belajar, tulisannya pun ngga “berisi” hihi…maluuuuu….